Are you investing in a business for which the timing is just perfect? Catching the right business wave at the right time can take your business places. The India Business Wave Blueprint is the first and only guide that provides expert guidance on the businesses for which the timing is just right! Imagine you and an expert team could spend 18 months, analysing 5000+ business sources, to arrive at a comprehensive list of attractive business opportunities in India for which the time is just right. You don’t have to imagine any longer. We have already done all the above for you. The result is the India Business Wave Blueprint. WHO WILL BENEFIT FROM THE INDIA BUSINESS WAVE BLUEPRINT? 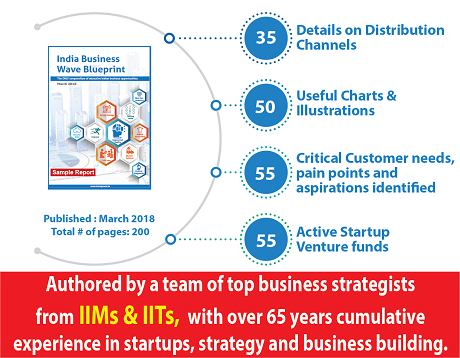 If you are an ambitious entrepreneur, startup or businessperson keen on entering a high-growth, high margin business segment in Healthcare, Cleantech, Tech or Education sectors, the India Business Wave Blueprint is the best guide for you to start your journey. WHAT IS THE KEY BENEFIT FROM READING INDIA BUSINESS WAVE BLUEPRINT? WHY IS THE INDIA BUSINESS WAVE BLUEPRINT UNIQUE? Really simple. There’s no other blueprint like this for India, or for that matter, for any country! The alternative to getting the insights that the Blueprint offers is to do painstaking research for many months with a highly paid team of business researchers. 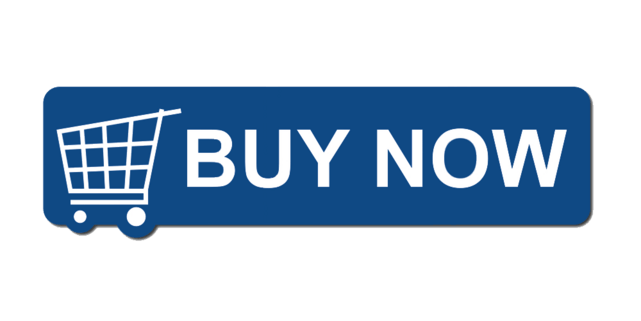 The India Business Wave Blueprint, on the other hand, is available to you right away and at a price of just Rs. 8500. The Blueprint offers a list of new and attractive business opportunities within the education sector. For each business wave, the India Business Wave Blueprint provides inputs, insights and analyses on the following. 04 Underlying Aspirations and/or Pain Points We point out what the key drivers and aspirations for the wave are. These insights will help you understand the strength and nature of the wave. 06 Robustness of Wave (Durability) How long (# of years) is the wave expected to exist? We provide estimates / insights for this important aspect here. 09 Prominent Players Details of the prominent leaders and companies operating in the opportunity domain will be provided here. 10 Distribution & Scalability Current status of the distribution chain in this market, and possible innovations to significantly increase market access and scalability will be provided in this section. 11 Stability of Supply Chain and the Extended Ecosystem How stable is the supporting ecosystem for this business opportunity. The strength of the ecosystem will provide insights to the entrepreneur on the stage and strength of the wave – a strong support ecosystem will mean a quick take-off, while a weak support ecosystem could imply that the entrepreneur needs to wait for some components of the ecosystem to mature/improve. 12 Bottlenecks & Stumbling Blocks What are the key bottlenecks, constraints, weaknesses and stumbling blocks that the entrepreneur should be aware of for this business opportunity? Examples of Attractive Sub/Niche Segments – An excellent list of attractive niche segments for each business is provided. This will prove to be an invaluable asset for entrepreneurs keen on identifying the best niche to invest in. This list has been collected by a team doing intensive business trends research for over 2 years, from over 1,000 sources! Types of Opportunities – For each attractive business wave, the Expert Wave Blueprint also provides key insights on where in the business value chain attractive business opportunities might be present. Analyses of the following value chain components is performed for each wave to identify the various types of business opportunities this business wave throws up. And finally, the Blueprint provides many, many enriching examples of startups and other successful ventures for each wave. These examples will serve both as an inspiration and a tangible starting point for many entrepreneurs keen on embarking on a venture with role models in place. Success Examples – both in India and globally. Vital statistics about these companies will be provided, especially for startups and innovative ideas, including from whom they got the funding. The following details will be provided for all the success examples that we provide in the Expert Guide. What do readers of the India Business Wave Blueprint say? Sunita Deshpande, Startup entrepreneur with IT background, Mumbai The (India Business) Wave Blueprint is an interesting guide that has come at the right time for the Indian startup and entrepreneur sector. The publishers have followed what they preach – that TIMING is Everything in business. They have also launched this guide with PERFECT TIMING. There are so many interesting examples and concepts in this report that give me so many ideas that I would have not come up my own!! SL Krishnan, Vice President at Cognizant and a former startup founder, Chennai This report is different from many market reports. Kudos to the experts who wrote it. They have clearly thought about the actual information needs of investors and businesses looking for attractive business opportunities. The strategy framework given at the end for deciding the right opportunity is also good and very practical. The Wave book will be highly appreciated by Indian entrepreneurs I am sure. Mohammed Yunis, Leather Industry business, Kanpur My son got this report for me. Some parts of (the) report need time to read. I like the examples for startups and niche business opportunities very useful – otherwise it will take so much time for me to gather this information! Navin Shroff, who has donned many hats, including as a hedge fund manager and a US college professor, now back to Bengaluru to start something in his home city If you are an Indian entrepreneur keen on identifying the best business for you to start, just but this guide from the BOSS company. There is no other guide like this from what I have searched on Amazon, Flipkart etc. At Rs 8500, it sure is a fantastic value for an entrepreneur. Going to a consultant for similar insights will cost at least 100 times the money! Sanjay Kumar, Book Buyer Wow. Finally a collection of data and insights I would have loved to do myself. Ankit Agarwal, CEO – SS Enterprises, Pune I fully agree with the authors of this report and blueprint that Indian entrepreneurs need to choose their ventures with care and intelligence. Such discrimination can take the country to a $10 trillion economy the way Shri Modi wants it. Rajneesh Singh, Book Buyer- Ludhiana Business Wave report tries to give you the Midas Touch for your business investments. I agree with the core principle that if I invest at the right time success is easy. Pankaj Trivedi, Investor I have not seen a compilation like this before – and beats me why no one else did it. Congratulations to the BOSS team, really worth the money and time. Akshaya Solar The report is excellent with lots of business ideas. I humbly suggest that you should collect some more new startups for 2-3 waves where I feel that some interesting startups have been left out. The Biz Wave guide is a very useful blueprint otherwise. Vinnet Kumar, Student -IIM Calcutta V useful to read about new and exciting ideas like eSports, Virtual Reality and Live Streams. Many such opportunities will be ideal for the next gen entrepreneurs who are very tech savy. Kunal Solanki, Electrical Engineer Great job. Look forward to the next edition with more attractive opportunities. Christ University I’m very happy to see such a dynamic and large Indian startup ecosystem. I bought the India Wave Blueprint out of curiosity more than anything else. Having just finished going through it, the amazing startup examples are truly inspiring and encouraging. Thank you sirs for bringing out such a useful collection. Vipul Hirani, Startup Mentor If you are an Indian businessperson, buy the Blueprint and read it. It can change your fortunes. Gopal Ardhanari I’m from Assam I’m sorry I’m not very good in English. All I want to say is that this was a very important report for my son’s business research – he likes to invest in new business in North India and the collection and information was good. Rajesh Kumar, Team Leader- Infosys Five stars to the blueprint. Why don’t you sell it from Amazon and Flipkart??? Genral Manager – Reliance Lots and lots of useful information and data. Good report organization and analysis. Useful for Indian companies and business. Manoj Kumar, Data Scientist – Amazon The blueprint gives me the satisfaction of having synthesised a large amounts of important Indian business data and arriving at useful shortlists and inferences. Good stuff. Jaspreet Singh, Book Buyer Congradulations to BOSS team. It took me 3 weeks to finish the guide as there are so much information. Some business categories and opportunities I did not know at all so a very good awareness mechanism for businesspeople. Shruchet Jayatheerth, Investor As we are keen on investing in new businesses, I ensured that all my company’s co-founders finished reading the India Biz Wave report. Knowledge and insights are powerful weapons before you take important decisions and this guide is a very timely guide for India’s business investors. Varun VijayaKumar, Financial Advisor – ICICI Securities If you invest in a business for which the timing is right you can get many times the return. That is the principle behind this useful guide and list of business opportunities. I think they are bang on the money! Who is behind the India Business Wave Expert Blueprint? This one of a kind expert guide has been compiled by a team of management professionals headed by Narasimhan Santhanam and Manohar Namasivayam, who lead the consulting practice at BOSS – the Blue Ocean Strategy Specialists. The BOSS team comprises a unique blend of MBAs and entrepreneurs who assist Indian businesses identify blue-ocean, attractive business opportunities. The team members themselves have been part of successful start ups, all started at the right time. Narasimhan is the co-founder of EAI, which he founded in 2009, just as the renewable energy wave was starting in India. EAI is today a leading strategic and market consulting firm for renewable energy and cleantech in India. In addition, the BOSS team members have founded successful startups such as Solar Mango (precisely at the time the Indian solar wave started) and some of the first companies to be funded during the dot com wave – once again starting successful ventures right at the beginning of the dot com wave. The co-founders of BOSS, Narasimhan and Manohar, are both graduates of IIM Calcutta. Narasimhan is also a graduate of IIT Madras. Both of them have started successful startups and have seen, from close quarters, how choosing the right sector at the right time had made a dramatic difference to business prospects.